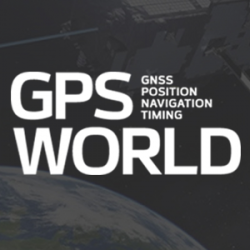 At the Civil GPS Service Interface Committee meeting in Portland, Oregon, on September 20, Sergey Revnivykh, Deputy Director General of Roscosmos’s Central Research Institute of Machine Building, reported on the status and future of GLONASS. He provided a number of details on the present constellation and how it will be augmented in the future, stressing that GLONASS is doing well and that a full constellation of 24 primary satellites will be in operation within months. The average signal-in-space range error has improved by a factor of five in the past three years and presently stands at about 1.8 meters (one sigma). Figure 1. The GLONASS satellite generations through GLONASS-K2. The present constellation consists of 20 healthy satellites with two reserve satellites, GLONASS 714 and 726. Revnivykh stated that GLONASS 726 had a failure of its navigation payload. It is known that the signal generator on the satellite is faulty and it had been set unhealthy since August 31, 2009. Nevertheless, it was placed in reserve status on March 19, 2010. GLONASS 714 is nominally healthy and could be brought back to service if needed. These initial reserve satellites are also being used to train the ground team to operate spare satellites in a full or nearly full constellation. GLONASS 727, in orbital slot 3, which was taken out of service on September 8, has also had a failure of its navigation payload and may not be returning to service. 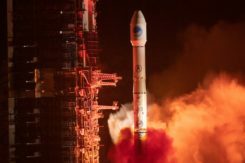 The three new satellites launched on September 2 are expected to enter service in early October. About 11 more GLONASS-M satellites will be launched by the end of 2012. Revnivykh announced that there will be two versions of the new GLONASS-K satellites: GLONASS-K1 and GLONASS-K2. GLONASS-K1 satellites will have a 10-year design life and a daily clock stability of 5 x 10-14. The first GLONASS-K1 satellite will be launched this December from the Plesetsk Cosmodrome about 800 kilometers north of Moscow. This will be the first launch of a GLONASS satellite from other than the Baikonur Cosmodrome. Only one more GLONASS-K1 satellite will be built and launched after that. The K1 satellites will test an open service CDMA signal on the GLONASS L3 frequency in the 1205 MHz band. Although the launch of the first GLONASS-K1 satellite will occur in December, the design process for the CDMA signal structure is not yet finished, according to a subsequent e-mail message from Dr. Revnivykh. When the process is completed, the structure will be made public. A completely new design, GLONASS-K2, will start launching in 2013. GLONASS-K2 satellites will have a 10-year design life and a daily clock stability of 1 3 10-14. Besides the CDMA signals on L3, CDMA signals will also be transmitted on L1 and L2. The GLONASS-K satellites will transmit the legacy FDMA satellites in addition to the CDMA signals. A modernized GLONASS-K satellite, GLONASS-KM, for launch after 2015, is now under study. In addition to transmitting legacy FDMA signals on L1 and L2 and CDMA signals on L1, L2, and L3, CDMA signals may also be transmitted on the GPS L5 frequency at 1176.45 MHz. Also being studied is an alternative to the present three-plane, equally spaced satellite constellation. A different constellation design would be possible using CDMA signals. Such a move would require that the legacy FDMA signals be switched off. Revnivykh stated that any such move would require at least 10 years’ advance notice. The signals that will be transmitted by the future generations of GLONASS satellites as well as those transmitted by the initial GLONASS satellites and the GLONASS-M satellites now on orbit are shown in Figure 2. Figure 2. Signals transmitted by the different generations of GLONASS satellites. OF 5 open-access FDMA, SF 5 special (military) FDMA, OC 5 open-access CDMA, OCM 5 open-access CDMA modernized. Revnivykh also spoke on the satellite-based augmentation system under development, System for Differential Correction and Monitoring (SDCM). Correction and integrity data will be transmitted by Luch geostationary communication satellites now under development. Luch 5A, to be launched in 2011 and positioned at 16°W longitude, and Luch 5B, to be launched in 2012 and positioned at 95°E longitude, will transmit signals on an L1 frequency. Luch 4, to be launched in 2013 and positioned at 167°E longitude, will transmit on two frequencies. The three satellites will provide almost global coverage. The satellite payloads are under development. According to Revnivykh, the SDCM will make use of 12 monitor stations currently in operation in Russia and one in Antarctica at Russia’s Bellingshausen research station. However, the SDCM website indicates only 10 Russian stations currently in the test network. This anomaly might be explained by the fact that some locations have multiple monitor stations. Eight more monitor stations will be added in Russia and five more outside Russia. Revnivykh showed a map revealing the locations of the additional overseas stations as Cuba, Brazil, Vietnam, Australia, and an additional station in Antarctica. It is not intended, at least initially, that these stations would be used in generating the orbit and clock data broadcast by the GLONASS satellites themselves. Finally, Revnivykh stated that a GLONASS performance document will be released in the 2012–2013 time frame. His full presentation is available on the U.S. Coast Guard Navigation Center website (www.navcen.uscg.gov). Meanwhile, the three GLONASS-M satellites launched on September 2 have arrived at their designated orbital slots: GLONASS 736, plane 2, slot 9; 737, plane 2, slot 12; 738, plane 2, slot 16. The operating frequencies are not yet fully known. GLONASS 736, in physical slot 09, is currently undergoing experimental tests. It is included in the broadcast almanac at slot 16 and is transmitting on frequency channel -6. Stations in the International GNSS Service ground network are tracking the satellite. According to the Roscosmos Information-Analytical Centre, when the tests are completed, GLONASS 736 will transmit on channel -2 and be identified as slot 09 in the almanac. It is unclear if GLONASS 736 will replace GLONASS 722 also currently in slot 9, with the latter becoming a spare, or if GLONASS 736 will become the spare as previously inferred. GLONASS 737 and 738 have not started normal transmissions. Their assigned shared frequency channel is not yet known but -6 would be a likely candidate. The Raytheon Company team developing the next-generation GPS Advanced Control Segment (OCX) successfully completed on schedule an integrated baseline review with the U.S. Air Force. When completed, GPS OCX will deliver a control segment designed to provide secure, accurate, and reliable navigation and timing information to military, commercial, and civil users. Raytheon is the prime contractor on the $886 million program. The team includes ITT, The Boeing Company, Infinity Systems Engineering, Braxton Technologies, and NASA’s Jet Propulsion Laboratory. From September 7 to 12, the U.S. Air Force Space Command (AFSPC) activated the long-awaited Flex Power demonstration for GPS, a power increase on L1 and L2. The trial of a new capability designed for military use under special circumstances was deemed a success, essentially going off without a hitch, according to Colonel David Buckman, AFSPC Command Lead for PNT, and Colonel Bernie Gruber, GPS Wing Commander. Officially, the flex power assessment ensured that the GPS control segment baseline (AEP 5.5) is properly integrated with the space segment with regard to command and control of High-Y Flex Power, a capability that increases the nominal transmit power of the desired signal by shifting power between signals (M-code and P(Y)) within a particular L-band. The net sum gain remains the same. High-Y Flex Power does not change total transmit power, does not affect phase stability between L1 and L2, is ICD-GPS-200E compliant, and does not affect the navigation message. Only a handful of 10-year-old reference receivers may have been adversely affected, possibly due to an outdated algorithm. Many government, commercial, and civil agencies were involved in the test, and hundreds of GPS receivers were closely monitored. As far as impacts to the overwhelming majority of global users, it was a non-event. The 2nd Space Operations Squadron (2SOPS) was able, over the course of five days, to make power changes to several GPS satellites without causing a phase shift and without the majority of users even knowing what was happening, although various announcements and press releases had appeared to alert them of the fact. All GPS satellites and signals have now returned to their normal power levels. The report’s principal findings ­— that the Air Force continues to face challenges in launching its satellites as scheduled, which could affect the availability of the baseline GPS constellation, that on-orbit performance of IIF satellites remains uncertain, that a disconnect exists between GPS III and OCX, and that a predicted possible delay in GPS III could affect GPS constellation performance — are discussed and rebutted in detail by GPS World defense editor Don Jewell, with further commentary (paraphrased) by Air Force Space Command, in his October column. European Commission (EC) officials held a briefing during ION-GNSS in Portland for industry representatives, to discuss the new Galileo Open Service Signal-in-Space Interface Control Document (OS SIS ICD). Hosts Paul Verhoef and Michel Bosco said they were pleased with what they characterized as positive feedback from U.S., European, and Japanese industry representatives regarding collaboration and consultation over changes made in the ICD. The updated version is available. The EC grants free access to the technical information on the future Galileo open service signal: the specifications manufacturers and developers need to process data received from satellites. Anyone who wishes to use the intellectual property rights contained in the document simply needs to send an e-mail to oss-icd@ec.europa.eu mentioning their request for a license agreement, which is without any exclusivity or geographic limitation. The U.S. Federal Aviation Administration (FAA) gave the go-ahead signal for full-scale, nationwide deployment of the satellite-based surveillance system called Automatic Dependent Surveillance – Broadcast (ADS-B) following its successful roll-out at four key sites. Air traffic controllers are now able to use the new technology to separate aircraft in areas with ADS-B coverage. Controller screens in those areas will show aircraft tracked by radar as well as aircraft equipped with ADS-B avionics, which broadcast their positions. The new system tracks aircraft with greater accuracy, integrity, and reliability than the current radar-based system, the FAA said. ADS-B targets on controller screens update more frequently than radar and display information including aircraft type, call sign, heading, altitude, and speed. 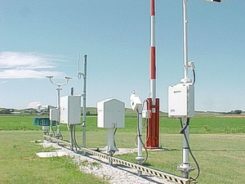 Nationwide ADS-B coverage is scheduled to be complete in 2013. According to the FAA, every part of the country now covered by radar will have ADS-B coverage. More than 300 of the approximate 800 ADS-B ground stations that will comprise the entire network have been installed. By 2020, aircraft flying in controlled airspace in the U.S. must be equipped with ADS-B avionics that broadcast their position.